- Steven A. Cerra [C] Copyright protected; all rights reserved. 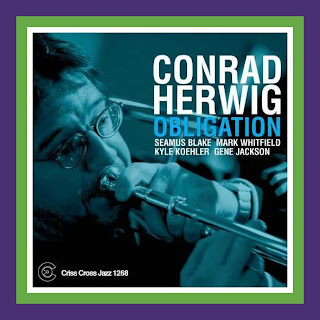 This piece is about another of those recordings that entered my life at a relatively early age and which helped me, to use pianist’s Barry Harris phrase – “See Out a Bit.” And, once again, I am indebted to my membership in the Columbia Record Club for bringing this recording into my living room. Little did I know at the time I first subscribed to it how membership in this record club would inadvertently further my Jazz education. While I certainly knew [barely] about the likes of Miles Davis, John Coltrane and Bill Evans by the time I received this album in 1959, all of whom appear on four tracks from one of the LP’s recording sessions, Legrand Jazz was also to become the source for a number of Jazz quests that would expanding my Jazz horizons. Because of the music that Michel chose to orchestrate, I met Fats, Django and Bix [do any of them need last names?] for the first time as I sought out more information about the composers of The Jitterbug Waltz, Nuages, and In A Mist, respectively. 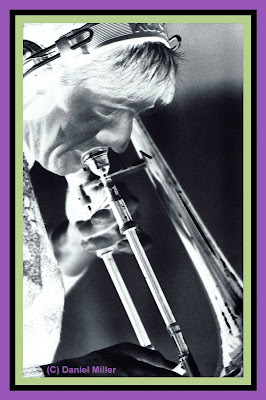 In some cases, such as his up-tempo version of Bix’s In A Mist, Michel’s arrangements became so definitive in my mind that I was shocked when I later heard this tune taken at a much slower tempo by other Jazz interpreters. There must be some irony in a story about a young man in Southern California being inspired to find out more about the early originators of Jazz as a result of listening to big band arrangements of their music as written by a young Frenchman. But what arrangements these are - full of energy and sparkling with fresh ideas and interpretations including the use of harp, flute, tuba and French horn, instruments rarely used in big band settings at that time [with apologies to Gil Evans who was still not as yet on my “radar screen,” to continue the visual metaphors]. Needless to say, I wore the original vinyl of Legrand Jazz to a frazzle through repeated listening and was thrilled when the compact disc version later appeared on Phillips [830-074-2]. Fortunately for you, repeated listening doesn’t “wear out” a CD as I guarantee that should you obtain a copy of this fascinating music you will be sure to play it often as it is like nothing you’ve ever heard before. Legrand’s arrangements on this album are as intriguing and inventive today as they were when they were penned 50 years ago. Here are the original liner notes of the LP version of Legrand Jazz [CL 1250] by Nat Shapiro who is the co-editor of Hear Me Talkin' to Ya and The Jazz Makers along with Nat Hentoff to be followed by the insert notes and photos from the insert notes to the CD version by Max Harrison, author of A Jazz Retrospect. 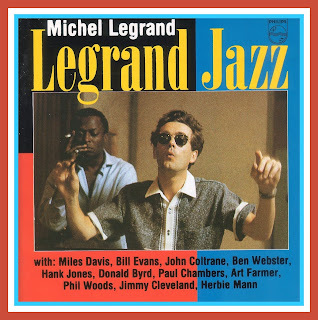 “Among the many members of a diverse (it is international) and loyal (they have bought more than one million of his LPs) I Like Legrand Society, are those jazz musicians and arrangers who have, by chance mostly, come within earshot of Legrand recordings. 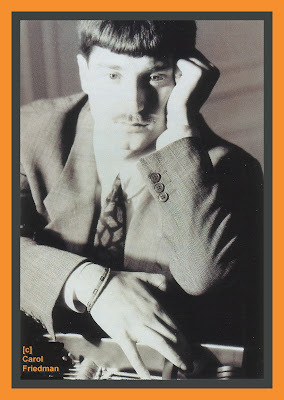 From his enchanting I Love Paris (CL 555) through his more recent Columbia Album of Cole Porter (C2L 4), Legrand in Rio (CL 1139) and I Love Movies (CL 1178), this brilliant young Frenchman has, with remarkable skill, charm, invention and wit, refreshingly introduced a new kind of musicianship into that too often banal and staggeringly prolific area of popular art that we categorically label "mood music," and the French, closer to the mark, call musique légère [literally “light music,” or more accurately, as easy listening]. In many of his previous collections, notably the Porter and Rio sets, Legrand has not only made frequent and startlingly original use of the jazz musician as a soloist, but, by virtue of his dynamic ensemble scoring and happy understanding of what a rhythm section is supposed to do, has often managed to make his large orchestra swing in the best tradition of Basie, Lunceford, Ellington and (big band) Gillespie. Michel Legrand (a multi-prize-winning graduate of the Paris Conservatoire) loves jazz with none of the tame enthusiasm, tinged with condescension of the academically oriented "serious" composer. His arrangements pointedly avoid the meaningless trickery of those highly skilled (and successful) popular arrangers who, from time to time, invest their work with "jazz feeling." 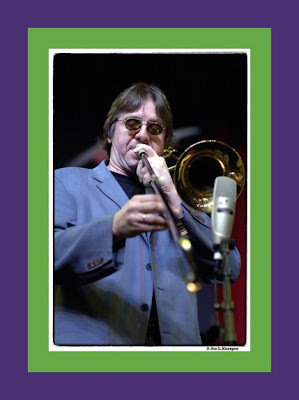 Michel, still in his twenties, loves jazz with an almost boyish enthusiasm, with, if not a firsthand knowledge of its growth and environment, the kind of passionate devotion and astonishing erudition that European fans are wont to have. His feelings for several important jazz figures border on idolatry. In the past, however, Legrand's jazz activities have been limited by both the nature of the recording assignments he has been given and the fact that in Paris, despite the liveliness of that city's jazz scene, the optimum conditions for producing a large-scale jazz figures border on idolatry. 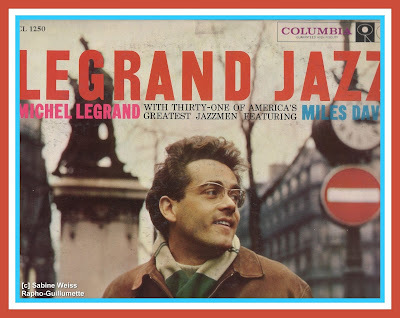 And so, while on a visit to the United States in May and June of 1958, Michel Legrand recorded his first jazz LP. The writing was done during the first three weeks of June. 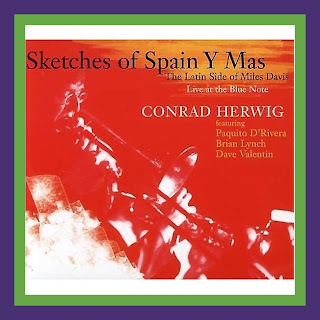 The repertoire was chosen from the works of eleven important jazz composers, and the musicians, many of them familiar to Legrand only through their recordings, were selected from among the best then in New York. Each arrangement was created with two major factors taken into consideration: 1) the styles and techniques of the participating instrumentalists and 2) the structure and mood of the original compositions. Legrand's primary concern was to provide a sympathetic framework for specific soloists. 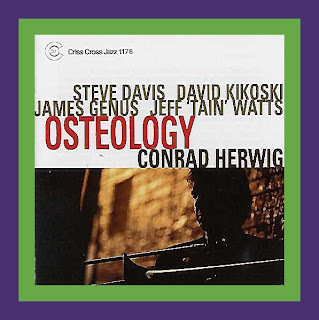 Thus, Wild Man Blues, The Jitterbug Waltz, ‘Round Midnight and Django were primarily written as vehicles for Miles Davis, with full knowledge on Legrand's part, however, of the formidable capabilities of Herbie Mann, Bill Evans, Phil Woods and the other musicians given solo space. 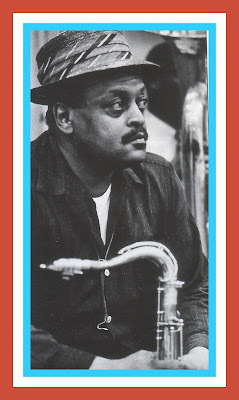 Similarly, Nuages and Blue and Sentimental were scored with the full, breathy tone of Ben Webster's tenor saxophone in mind. Rosetta, Stompin' at the Savoy and Night in Tunisia were designed to display both the collective and individual talents of two mighty brass foursomes and on each of these tracks, ample time was permitted for the soloists to romp through a traditional "chase" pattern. 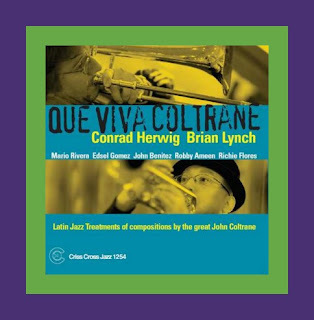 The fact that each composition in this collection was written wholly or in part by a great jazzman was the result of a deliberate decision by Legrand not only to pay tribute to his peers, but to attempt to bring the work of these giants into new focus. Jelly Roll Morton's Wild Man Blues, heretofore associated only with Louis Armstrong and Morton himself, emerges in its modern dress, played by the outstanding trumpeter of this generation with all of the savagery, bitterness and beauty of Morton's best work. The Jitterbug Waltz, one of Fats Waller's most engaging pieces, while retaining its basic charm, takes on other qualities characteristic of Waller the man and musician - notably wit and pulsation. 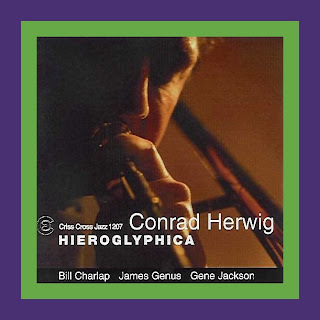 Django Reinhardt’s Nuages, John Lewis’ Django, and Bix Beiderbecke’s In A Mist, all with their original Debussy-like coloration and mood, are given added dimension by Legrand's instinctive rapport with the material at hand, resulting in delicate, yet powerful underlining of the solos. 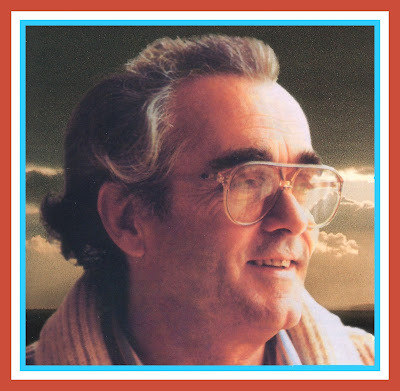 "Born in the French capital in 1932, Michel Legrand studied at the Paris Conservatoire during 1943-50 with, among others, Henri Chaland and Nadia Boulanger, one of the most eminent composition teachers of the twentieth century. Such beginnings have been largely forgotten due to the success of such things as his film scores. Legrand won Oscars for his music for "Les Parapluies de Cherbourg" (1964), "The Thomas Crown Affair" and "Les Demoiselles de Cherbourg" (both 1968), and "Summer of '42" (1971). Much earlier he had been awarded a prize by the Academie Charles Cros for his arrangements for a 1953 Catherine Sauvage LP, and in 1956 a Grand Prix du Disque for his own "I Love Paris" record. His international career took off, indeed, between these latter two awards, when he conducted for Maurice Chevalier's 1954-55 appearances in Paris and New York. 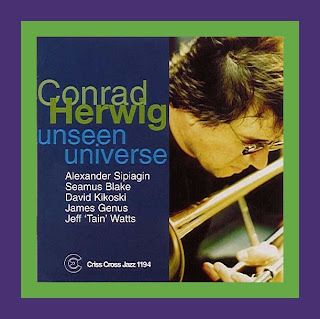 Such conspicuous successes, which have continued to the present, have obscured not only the sound academic basis of Legrand's brilliantly effective orchestral writing but also his strong attraction to jazz. There were some hints of this on recordings he had made earlier, and it was inevitable that he should in due course direct sessions in which the interest was explicit. Their result, "LeGrand Jazz," was the subject of widespread comment on its first appearance but it has been unavailable for many years. In the meantime it has become a considerable rarity, much sought after by connoisseurs of fine jazz orchestral scoring and inspired solo improvisation. Its reappearance was much overdue. The enterprise is more ingenious, has more dimensions, than is at first apparent, and this set of performances achieves several things at once. Legrand was on a visit to the U.S.A. in May and June 1958, the writing was done in the first three weeks of June, and the sessions were recorded in New York over three days at the end of that month. This concentrated activity no doubt aided the creation of a body of music which is a single, indivisible whole: these 11 interpretations belong with each other, and nowhere else. Besides offering a personal view of jazz history up to the end of the 1950's, Legrand's recordings have themselves become an historical document, something now lying a generation back in the past which can tell us much about where jazz was then and suggest a perspective on some of what has happened since. Not only was it necessary for the chosen themes to be of outstanding distinction, but for each, through its essential qualities, to contribute unique aspects to the whole. Every one of Legrand's scores embodies an exact understanding of the character and structure of each theme, of its potential for development in terms of orchestral of orchestral writing and improvisation, of the styles of the soloists he would employ and of how they would relate to the scored material: everything acts together. His instinctive, though also technically sophisticated, rapport with a wide variety of music could be expected from his earlier recording and other assignments. But his ability to enter into the inner worlds of these pieces - each the creation of an exceptionally strong artistic personality - indicated a considerable deepening of his perceptions. This was the more so as he presented them in such a way as to heighten their original character while showing them in new lights and providing uncommonly stimulating opportunities for his soloists. It might be added that no small part of the stimulation came from the unusual challenges with which the latter were presented. 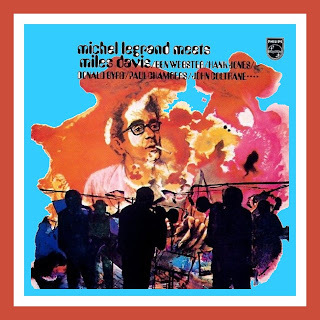 Without Legrand's initiative it is unlikely, for example, that Miles Davis would ever have been heard improvising on Fats Waller's "Jitterbug waltz" or Ben Webster on "Nuages" by Django Reinhardt. Although these are very much Legrand's recordings, with a collective flavor entirely their own, his orchestrations, for all their dazzling impact, are not once overbearing. In tact there is something almost paradoxical in the way that he determines the atmosphere of the whole whilst at some points, as on "Blue and sentimental," almost disappearing from view. There is indeed plenty of space for the soloists and, as they were la crème de la crème of their time improvising on some of the best themes composed by major figures of their own and the previous generation, this is as it should be. Listening to their efforts again after too long an interval, one is sadly reminded of how reputations rise and fall. Thus Joe Wilder, who played so beautifully on the third session, is now largely forgotten, while Bill Evans and John Coltrane, long since recognized as crucial influences on jazz, were not mentioned on the front of the sleeve of the original issue! The players were organized in three distinctive instrumentations, the first having the greatest mixture of colors, the second being characterized mainly by the trombone team, the third by the trumpets. This could easily have led to an excessive diversifying of the overall impression, yet, be it in the lucid ensembles of "In a mist" or amid the serenity of "Wild man blues," Legrand's writing unifies it all. The trumpet and trombone occasions give rise to lengthy chase passages of the sort that can so easily degenerate into boring exhibitionism. No hint of that will be found here, and although there is no denying the dueling aspect of, say, the trumpets' foray on "Night in Tunisia," what we get is a rapid-fire exchange of solid musical ideas. There was too much happening in these sessions for anyone to waste time on mere display. In fact it is solid musical invention all the way, starting with "Jitterbug waltz." Waller's title is a nice contradiction in itself, for whatever jitterbugs did it was never to waltz. Legrand responds with the alternation of two strongly divergent tempos which, if you like, contradict each other. Their juxtaposition has expressive point, however, and each time the textures are different yet clearly related to what went before; indeed it is like hearing two interlocking sets of variations. 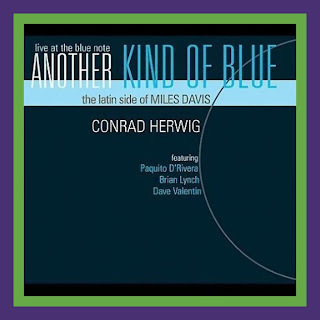 The solos are at the faster speed - Davis, Herbie Mann, Phil Woods, Evans - then the theme is restated briefly, yet in a way that does not merely echo the beginning, and there is an unexpected coda in the shape of a bass solo. 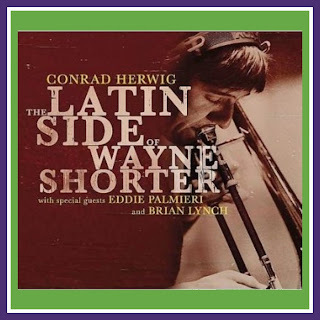 Waller, even in this orchestration, represents the New York "stride" school of piano-playing while "Nuages," by the great Belgian gypsy guitarist Django Reinhardt, stands for Europe's early contributions to jazz Here the trombones set the scene and then Webster enters, his solo the more poignant for its brevity; again the coda. this time taking the form of a piano solo could not have been predicted. It is apt that the trumpets should dominate "Night in Tunisia," for this was composed by Dizzy Gillespie, one o the instrument's greatest masters; it was among the earliest bop themes to establish itself in the general jazz repertoire, bop being the first significant jazz style to emerge after World War II. 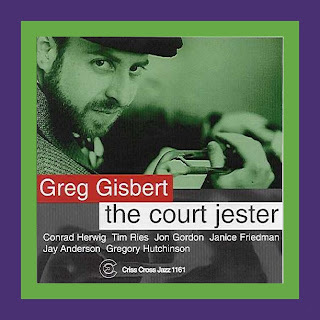 Gillespie's peer in those days was Charlie Parker, and a Parker disciple, Gene Quill, is soon heard from, although it is Legrand's rich, many-voiced ensemble that makes the strongest impression. 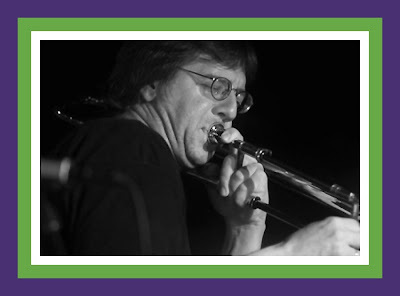 Quill's alto saxophone resurfaces, the ensemble briefly takes fire again to launch Frank Rehak's trombone solo, then the trumpets enter one by one, Wilder especially shining. 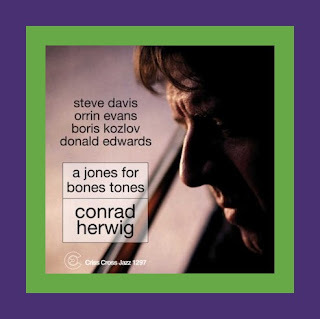 As it continues, their improvising becomes more tightly argued, the individual statements shorter, more concentrated; then another Parkerian alto saxophonist, Woods, contends with the brass, and there is a further imaginative coda. "Blue and sentimental" was made famous by Herschel Evans, a tenor saxophonist with Count Basie's band in the late 1930's. Here it belongs to Webster, who solos throughout with just sufficiently active trombone support. He provides exactly the lyrical calm needed after the storming trumpets of "Night in Tunisia," but that calm is never merely passive and the acutely expressive nuances of his improvising repay many hearings. "Stompin' at the Savoy" bears two of the major swing era names, Benny Goodman and Chick Webb, and the Goodman link is signaled with a few terse flashes of clarinet, an instrument not otherwise heard on these sessions. The antiphonal ensembles are a richly detailed, many-voiced updating of the 1930's big bands' characteristic textures. Woods has plenty to say as usual, so does each of the trumpets, and there are more ensembles which, typically of Legrand, are both full-bodied and resolutely clear: we can hear every note. There is more subtle writing in "Django," for harp and piano. These instruments can readily make each other sound redundant (the piano is a harp with keys, after all), but here they precisely complement one another. Then Davis gives us his thoughts on this John Lewis theme dedicated to the composer of "Nuages." Several of Legrand's treatments go directly against our expectations. "In a mist," for example, being fast instead of slow and "Wild man blues" doing without its striking sequence of breaks. This latter was composed by Louis Armstrong and Jelly Roll Morton in the 1920's and gives rise to many-hued ensembles that are more insistently contrapuntal than on the foregoing items. It was witty to use Eddie Costa's vibraphone here rather than in "Django," which has Milt Jackson and Modern Jazz Quartet associations. 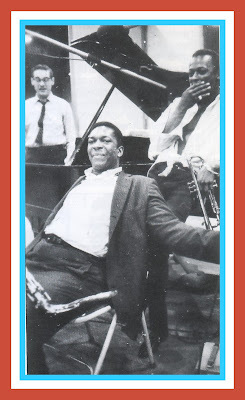 (The MJQ's early output was among the best of the "cool" jazz of the 1950's.) Coltrane solos, then Davis follows with orchestral support of a quality that he all too rarely was accorded; in fact it is an enhancing commentary. It was again witty to employ "Rosetta," by the great virtuoso pianist Earl Hines, a major innovator through several decades of jazz, as an outing for the trombones (with Hank Jones scampering among them during the theme statement). This is their equivalent of the trumpets' "Night in Tunisia" and all four are heard from in top form. Then Webster provides a most telling contrast, both with Jimmy Cleveland & Co. and with his own statements on other tracks. After which the trombones return with a passage that is one of Legrand's most original moments; and this time it is Mann who does the scampering. An introduction giving no suggestion of what is to follow leads into Thelonious Monk's "'Round midnight," still the most familiar of his many compositions. 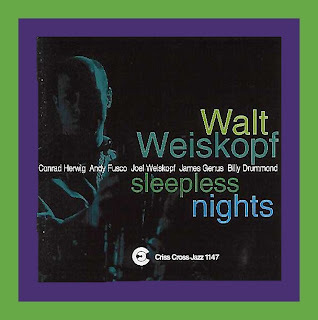 This was thus renamed when words (not used here) were added, but was originally known as "Round about midnight," the title which jazz people still normally use. Whatever we call it, Davis is heard with very imaginative orchestral support - or rather he is surrounded with unpredictable gestures which are different each time. 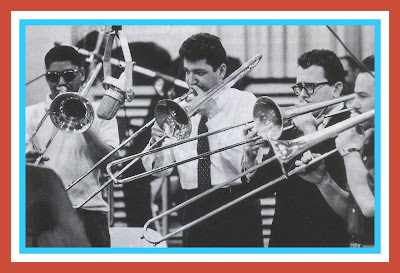 "Don't get around much anymore" is another instance of Legrand's humor, for the trombone section never quite plays Duke Ellington's well-known melody, although they hint at it constantly. This also has an earlier title, "Never no lament," under which it was recorded by the supreme Ellington band of 1940, and it, too, was renamed when words were added. "In a mist" (also known as "Bixology") is in some ways the most remarkable single track. This exploratory piece, recorded as a piano solo by the cornetist Bix Beiderbecke in 1927, is taken at a fast tempo which, almost inexplicably, suits it to perfection. This is from the trumpet session but the whole ensemble is king. Indeed it is a piece of superb orchestral writing, full of new sounds and textures, and splendidly played, as is everything here. "In a mist" provides a fitting end to a sequence of performances which, it can now be seen, was unrepeatable. Legrand was no doubt wise in recognizing its uniqueness and in never attempting to retrace his steps." 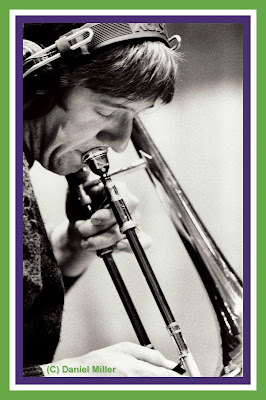 the [continued] “creativity” not only in the manner in which the selected repertoire is arranged and performed, but also, in the way which Ray expands the trio to accompany guest guitarists, horn players and vocalists. 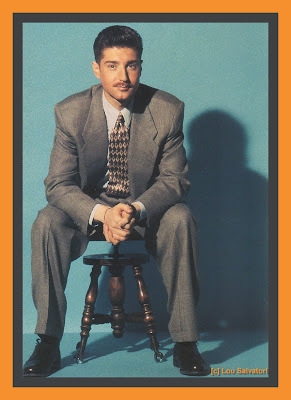 During the decade of the 1990s, the first major change was Benny Green assumption of the piano chair from Gene Harris. 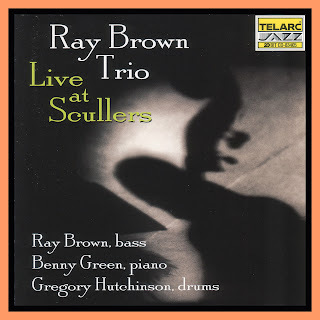 Fortunately for me, I lived in San Francisco for most of this period and I was able to hear this version of The Ray Brown Trio with its Bay area, native-son pianist many times when it performed at the Old Yoshi’s Jazz club in Berkeley, CA. With Phineas Newborn, Jr. and again with Gene Harris, Ray had worked with pianists of his own generation. 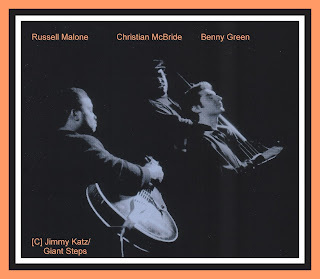 Benny Green was thirty years his junior when Ray turned to him to front this version of his trio; someone who was closer in age to Jeff Hamilton. While the principal focus of this piece is Ray Brown’s trios, both Phineas Newborn, Jr. and Gene Harris were well known Jazz personalities before they joined Ray’s group. 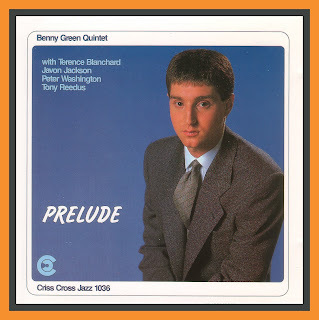 Benny Green, on the other hand, was just turning 30-years of age so it might prove informative at this point to turn to Stanley Crouch’s insert notes to Prelude, Benny’s first album for Criss Cross [CD 1036] made in 1985 in which he offers an interesting description of the evolution of a young Jazz musician in a contemporary American society that in no way prizes the music. Green's interest in them music was natural and began very early. 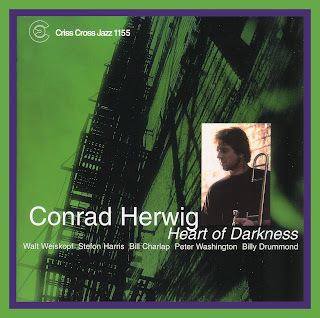 Born April 4,1963 in New York City but reared in Berkeley, California, he heard Charlie Parker and Thelonious Monk records through his tenor saxophonist father. 'I didn't know that it was called jazz. It was just music which I loved from when I first heard it, 'he recalls. Green was envious of his sister who started getting piano lessons and he began improvising with determination at the age of six or so when an instrument was brought into his home. His parents decided that he should learn the piano correctly if the boy was so interested in playing, so he, too, took classical piano lessons. 'My family has always been behind me all the way about playing music,' Green says. The lessons went on for about three years. 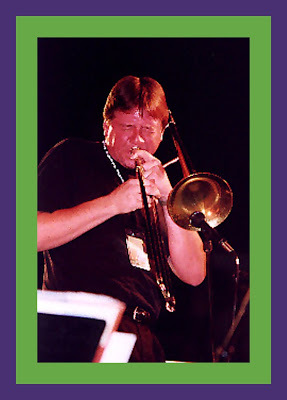 Green was very fortunate when he went into the fourth grade because he came in contact with a jazz ensemble of student musicians directed by a man named Phil Hardymon. 'It was kind of unique because there aren't too many student jazz courses throughout the country. Though I had been inspired listening to the music around the house and hearing my father play, this was a different kind of inspiration because I was hearing my peers do it. That made it seem more possible to me.' That possibility was given more thorough grounding when Green's father told his son when he was twelve that if he was going to improvise, he should get serious and start studying the records around the house, start listening to jazz radio, and go out of his way to learn what the masters, whether living or dead, were doing. At about sixteen, Green was hired by a singer named Faye Carroll and began performing with her frequently. He learned a lot while with the singer because she gave him a lot of room to play, which is how jazz musicians really develop their skills. No matter how many classes they might take or how many improvisations they might memorize or techniques they might work out, unless those materials are brought to the level of performance function, they are largely academic. It is within the sweating demands of the moment, when everything is in motion and every decision has to count, that the jazz player must be able to create musical logic expressive of the emotional qualities that define the individual sensibility. Aware of that, Green would sit in with the best musicians he could, which he did with trumpeter Eddie Henderson after meeting him in San Francisco. Shortly after Green got to New York, he heard Walter Bishop with Junior Cook and Bill Hardman. He approached Bishop about studying with him and became a student of the older pianist, who helped him a great deal. 'He showed me a lot about comping because I was impressed by the big sound he got out of the instrument.' Bishop was the link to Bud Powell and he was willing to show Green how he voiced his chords. But, most importantly, Bishop encouraged Green to look for his own music, not just emulate somebody else. 'Walter said that there are three stages of development: imitation, emulation, innovation. Not to say that a musician gets to all three, but those are the logical stages of development. He got me to think about the extensions of the tradition of the piano that have come since Bud Powell'. 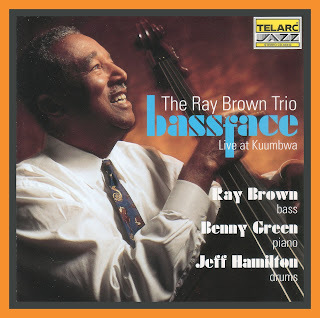 The first album by Ray’s new trio, BassFace [Telarc CD-83340], was recorded live at the Kuumbawa Jazz Center in Santa Cruz, CA on April 1-2, 1993 and it is an absolute corker! One simply has to hand it to Ray. How in the world do you follow the likes of Phineas Newborn, Jr. and Gene Harris, why, with Benny Green, of course. And, as is in evidence on this album, this “kid” can play [not to mention the fact that he swings his backside off]. 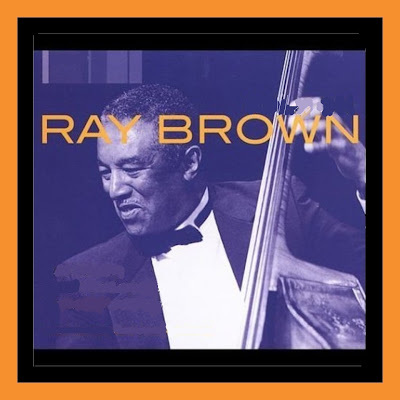 What is also in evidence on this recording is that Ray Brown is becoming quite a polished performer: whether it is in the form of introductions to or interacting with the audience or in the thought give to how the tunes are sequenced or in the imaginative way in which the music is arranged and played. Another aspect of Ray’s approach to each set is to intersperse a showcase for each member of the trio and on BassFace this takes the form of solo spotlights for Ray on Kenny Burrell’s title track, for Benny Green it is Taking a Chance on Love [prefaced by Ray remarking to the a heartily approving audience – “I guess by now you’ve noticed that we have a new piano player!”] and for Jeff it’s a workout on the seemingly odd choice of Irving Berlin’s Remember [“odd” only until you hear what Jeff does with it]. The Kuumbwa set begins and ends with Milestones and Ray’s original Phineas Can Be, both of which are up-tempo cookers. 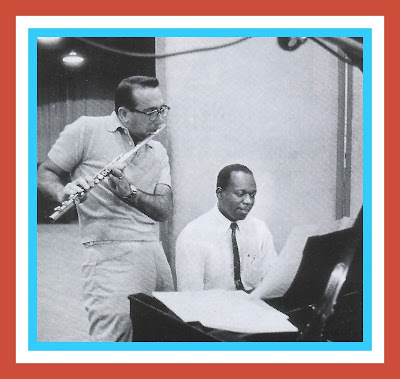 Ray usually includes in each performance tunes by or associated with Duke Ellington and/or Dizzy Gillespie and in this instance the latter gets the nod with the trio’s version of Tin Tin Deo. And to finish off the typical Ray Brown Set Recipe, it most always includes a blues and a ballad with CRS – CRAFT [another Brown original] sufficing for the former and In the Wee Small Hours of the Morning taking the tempo down for the set. 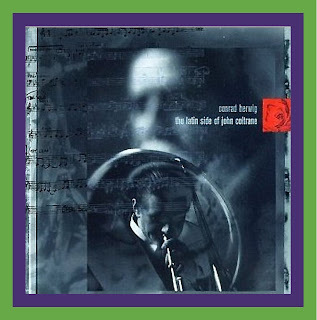 Next up for this engaging and entertaining trio was the 1994 CD Don’t Get Sassy [Telarc CD-83368] and contrary to the admonition contained in its title, the trio gets very sassy indeed on this marvelous CD which was to be their last together as a unit. 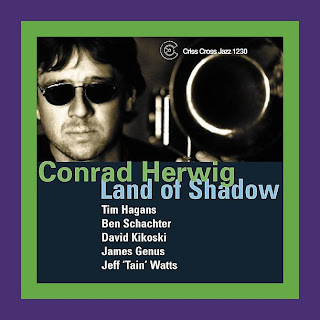 Along with a striking rendition of Con Alma, the Dizzy acknowledgement on this CD is a blistering version of Mario Bauza’s Tanga that offers some dazzling two-handed, octaves apart piano work by Benny Green and enough Jeff Hamilton kicks and licks to once again demonstrate that “the little, big band” is back. “The spontaneity of a live jazz setting often, when we're lucky, viscerally and excitingly affects the immediacy of the artist's performance. It is a give-and-take affair in which the musicians communicate with the audience which, in turn, responds in such a way as to spur the artist to even greater heights. Telarc and Ray Brown have each done their share of live recordings, working together on this trio's debut for the label (Bassface) and other special recordings with Oscar Peterson and Andre Previn. For this new album, the artist and the label have decided to alter the nature of the live recording so as to have the best of both worlds: to involve the audience in a creative and interactive fashion and to have more control over the recorded performance. 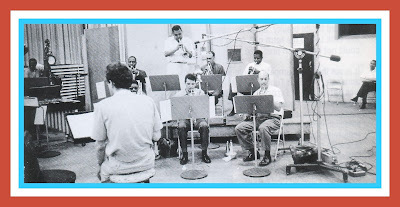 The members of the trio invited guests for each night of recording, and the audience was made up of enthusiastic friends, relatives, and selected notables. Signet Studio in Hollywood became a jazz club, but one where the audience could often hear from the control room and from the "stage" elements of the process that make a recording. The give-and-take was thus transformed into a situation where three distinct groups participated; the experience was instructive and enjoyable for all involved. 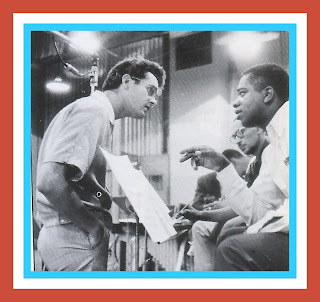 The three members of the Ray Brown Trio and the production staff of Telarc are long-standing professionals who have been involved in the art of recording countless times before. This time they added the audience into the equation in a way that retained the vividness of classic live recordings skillfully blending control and freedom. Under no circumstances, of course, could this trio give anything less than an electric, immediate performance. Ray, Benny, and Jeff combine extraordinary rich experience in many settings with breathtaking technique and an overwhelming desire to reach an audience. They transform the standards of this and other popular music and make it impossible not to share in the moment. Ray Brown has been doing that for over fifty years, and his partners here have learned his valuable lessons well. The crowd quickly becomes part of the experience. They take audible delight in the magic the players work on tunes by some of Ray's old bosses, by giants of jazz and popular music and from the vast store of classic song. You can hear Ray's special affection for the late Dizzy Gillespie in two compositions with an Afro-Latin influence - Con Alma and Tanga. The brilliant Ellington medley includes a moving Arco solo by Ray on the popular In a Sentimental Mood and some striking and varied tones and colors on the lesser known Rain Check and Squatty Roo. 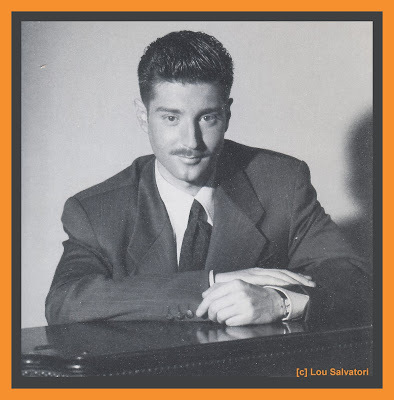 Of special interest from the pop songbook is a gorgeous rendition of a tune that Tony Bennett popularized, The Good Life, with the great piano playing of Benny Green leading us. Great tunes, even ones that are played frequently, sound new every time when masters like these improvise on them. In a collection of terrific performances, the reading of Thad Jones's Don't Get Sassy is a standout. Ray understands the essence of the late trumpeter-composer-bandleader's music and his continuing importance -particularly to jazz writing. The trio works out with abandon on this powerfully funky tune from the Jones repertoire. From Ray's own pen comes a new blues entitled, appropriately, Brown's New Blues. Ray again shows how and why he's a master in every way - soloist, accompanist, composer, leader, showman. It is a credit to the artistry involved here that many of the audience members returned for both nights. They understood that great jazz takes on new colors every time out - even if some of the songs remain the same. 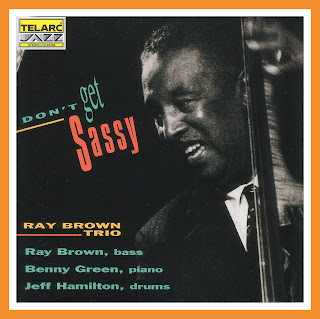 And they obviously are thrilled in being part of the team that helped to create the right environment for the level of invention that the Ray Brown Trio delivers.” Don’t Get Sassy was Jeff Hamilton’s last album with Ray before moving on to form his own trio. 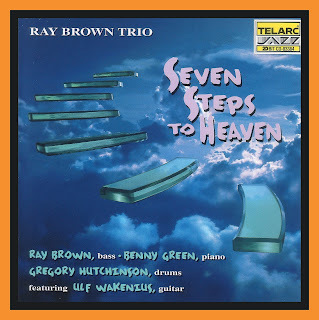 Ray’s next Telarc release - Seven Steps to Heaven [CD-83364] - introduced Gregory Hutchinson as the group’s new drummer. Also making an appearance ois the fine Swedish guitarist Ulf Wakenius. A brief review of the musical resumes of both Hutchinson and Wakenius is contained in the following Don Elfman album insert notes along with are fine summary of the album’s highlights. “Ray Brown is in the process of joining the pantheon of major jazz players who have also become great bandleaders. 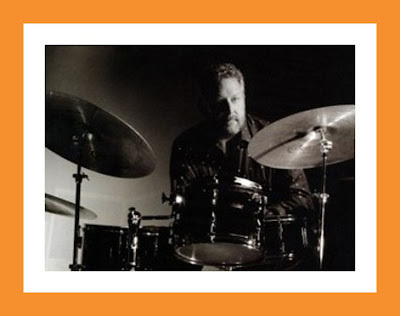 He has, like such illustrious predecessors as Miles Davis, Duke Ellington and Art Blakey, created groups that have forged distinctive signature sounds through the discovery of burgeoning talent with the spirit to both communicate as part of a group and develop an individual sound. What's particularly noteworthy about Ray is that for years, it seems he has been one of those soloists - first with the Modern Jazz Quartet in the late 1940s, then with the Oscar Peterson trios of the' 50s and '60s, and throughout in an unbelievable variety of ensembles and in a vast assortment of musical styles and types. After this expansive and extensive preparation, Ray Brown is, and has been, a leader. 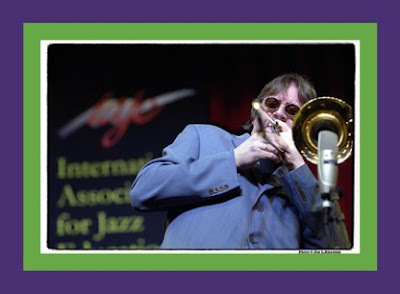 For over ten years he has stood solidly at the helm of the Ray Brown Trio, a group which has lived and maintained the solid blues traditions of basic jazz and established environments where soloists can shine. 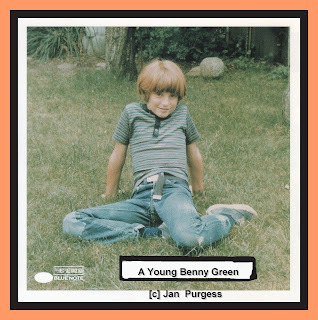 In the piano chair, first Gene Harris (formerly of The Three Sounds) and now Benny Green have happily found the place where past and present meet, where dazzling virtuosity and an urgency to entertain join up with a solid sense of musical architecture and a need to communicate. 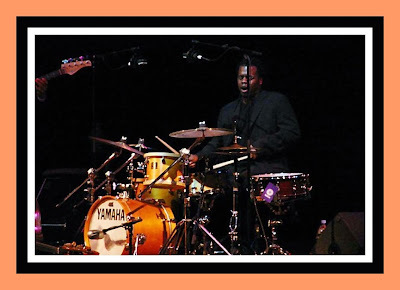 And, as a matter of fact, drummers, Jeff Hamilton and now Gregory Hutchinson demonstrate the same mix of sensibilities. It's curious but no real surprise that Green and Hutchinson, both at first associated with the young lion new breed, have chosen to go into the roots and create new explosions in a much more traditional vein. These solid digs have taken place in the rich atmosphere - inventive and joyous - created by Ray Brown. That brings us to the album at hand, a sparkling set of mostly old favorites and a couple of Ray's originals. All are done with the verve and spirit that have come to define any venture connected with Ray Brown, yet it's another tune still that points us to the sound picture that this set calls to mind. The Thumb is a soulful celebration of the unique talent that was its composer, Wes Montgomery. 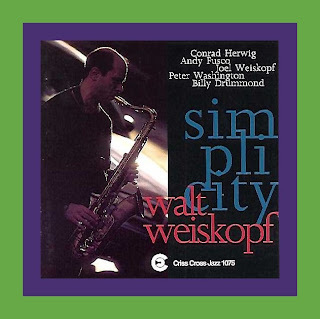 Here, and throughout the album, with the Wes-like playing of Swedish guitarist Ulf Wakenius, we are in the world of the classic Montgomery plus trio recordings. That Ray and his men should have feeling for Wes is perfectly fitting, since the late guitarist's recordings had the same beautiful blend of extraordinary invention and audience appeal that, no matter how broad, never compromised the scope of the invention or the depth of the feeling. And that, of course, is what we have here in this newest Ray Brown recording. A word, first, is in order regarding Ulf Wakenius. It's no easy task to take on the role, even unspoken, of one of the greatest soloists in the history of the music. But Ulf seems undaunted by the challenge, primarily, its seems, because he does not take it as a challenge. With a steady assurance and bold confidence, he sends the music from his heart and head to his fingers and thus quietly, but most assertively, assumes the guitar chair by just playing. Working with players from Herbie Hancock and Jack DeJohnette to Niels-Henning Orstedt Pedersen ( in whose group he currently performs), he is what Jazz Journal called "a new breed of guitarist," combining "a formidable technique with a rare sense of dynamics, a multitude of influences with a precise, driving individualism." The aforementioned Montgomery tune shows right away all of the qualities that make a top-notch player incredible dexterity, a sense of what to include and when, and an exhilarating spirit that sends his playing and, in fact, the tune, soaring skyward. 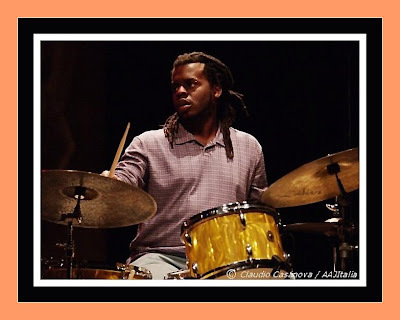 The other "new" player here is drummer Gregory Hutchinson. He's sharpened his musical axe in the bands of Betty Carter, Joe Henderson (both of whom have done things original and new with the tradition) and alongside new stalwarts of rhythm Christian McBride, Geri Allen and Marc Cary, so he's made it clear that he knows the prevailing jazz currents. What's also clear is that he thinks about where this music has been, and he is now able to live those questions with Ray Brown, who has never stopped questioning. And there is the awesome, ever-growing Benny Green leading us to new worlds with his pianism. What this album, then, is all about is a sense of "the groove." These players have certainly found it together and sound like a unit, even though this is the first time they've all recorded together. Each has his own voice and finds an individual groove without hogging the spotlight, but as a group these men find the place to lock together and stay there throughout. They make these old gems sparkle - even if you've heard In a Sentimental Mood or Stella By Starlight countless times, the mastery of this group, the power of Ray's arrangements and the vitality of the tunes help make this a new first time. 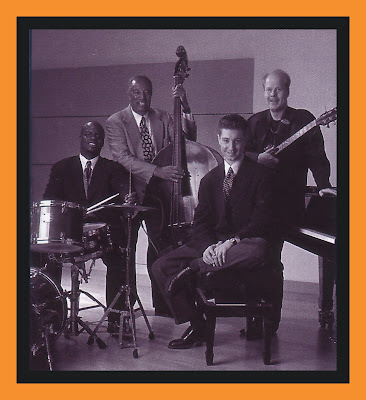 As a point in passing, while at Telarc, Ray’s trio was used as the rhythm section for a number of CDs issued under the rubric “Some of My Best Friends Are ….” This phrased was completed with everything from “Piano Players” to “Sax Players” to “Vocalists,” all of which are outside the range of this piece [but well worth listening to hear more of Benny Green and the two pianists who followed him with Ray – Geoff Keezer and Larry Fuller – neither of whom is included in this feature]. “One of the beautiful ways we as humans show maturity and growth is in how we stand in a spotlight. When we're young we desperately need attention at center stage, and if it means showboating or speaking louder or other garish displays, we do those things because they're necessary for our sense of self. But as we age and become more confident with just who we are and what we've accomplished, we can, hopefully, generously and with assurance give the room and space to others without any loss of our own individuality or distinct personality. It's truly revelatory to see this process in people, because it also shows us what we ourselves can become. Musicians who choose the performing life act out this process before the public - in person or on record - and it is a quietly breathtaking experience for an audience to watch artists grow in this way. Since Louis Armstrong first made jazz a soloist's art, the individual's statement has tended to be more dazzling and exploratory, and thus the link to that spotlight must be harder to break. So it is even more amazing to see a modern jazz musician fully grow into the music, making all his personal expression an organic part of a larger whole. 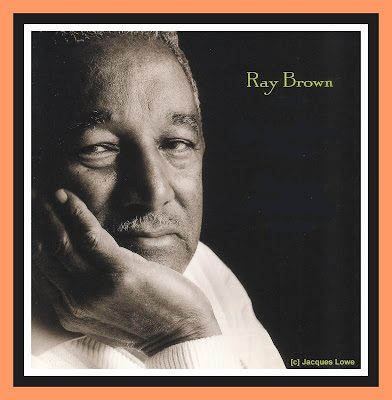 As witness by the performance recorded here-and in fact by all he does-Ray Brown has magnificently mastered this maturation process and become a jazz Everyman who still says as much or more than anyone. Of course one might make the case that as a bass player Ray had to learn from the start to make his voice a more supportive and quiet one, and there's some truth to that. But Ray Brown was always a player with his own personality, backing some of the greatest names in music but always in such a way that you always knew he was there and you wanted to hear what he had to say. So it's a nice surprise to know that this master, after years of playing and leading his own groups, has managed to put everything he does at the service of greater communication. The Ray Brown Trio has become one of the most emotionally rewarding and entertaining working groups in all of jazz. Mr. Brown is clearly the leader - and as a mentor, as a rock-solid foundation, and as the senior member of the group he has given his young partners focus, direction, and somehow even greater freedom. But in so doing he has ably presented an unselfish personality that means that he has earned the role of leader. And what he has given has helped his sidemen towards that greater development as mature players. From his earliest days as Betty Carter's pianist, Benny Green demonstrated dazzling, showstopping virtuosity at the keyboard. 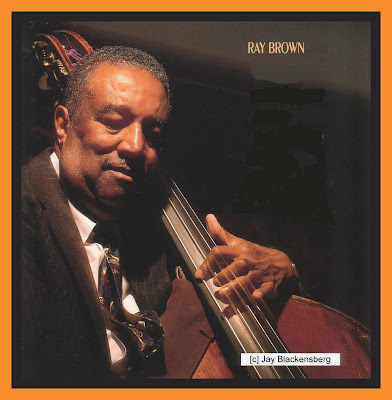 Work with the Ray Brown Trio, however, has defined and directed his technique, rounding out and synthesizing the way he holds attention. On Bye Bye Blackbird, for example, it's certain he begins with a notion of the classic Red Garland performance from the Miles Davis days, but he transforms the bravura of that recording and even the knock-'em-dead approach of some of his own work into a more rich understanding of the song and how to tell its story with other players at your side. 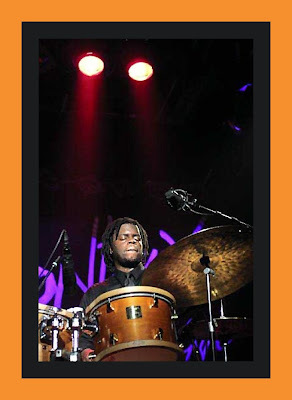 Gregory Hutchinson began his musical career as one of the "young lions," next to such current raves as Christian McBride, and thus he was thrust into a spotlight in which his volcanic drumming was broadly evident. He's always seemed to have a full command of his instrument but his work in this splendid trio seems to have given birth to a more complete range of expressive capability. On the gently pulsing En Estate, his subtle presence says as much about the song and its feeling as can be expressed by any instrument. And in combination with the dark but vitally immediate sounds of the Brown bass, and the sensitive lyricism of the pianist, he is able to beautifully urge the music forward. Any doubt about the merit contained in these assertions by Blanchard and Harrison is further swept away by listening to the playing of current generation musicians like Benny Green and Gregory Hutchinson. Furthermore, it is important to remember that many of the players from Jazz’s earlier generations were very limited in what they had to offer both technically and creatively. Which is another way of saying that they weren’t all giants, by any means. From this standpoint, it is exasperating to listen to earlier generations of Jazz followers extol the work of obviously limited piano players who couldn’t play two notes with their right hand before slipping into the keyboard’s cracks over the precision, pianism and un-ending inventiveness of a Benny Green. But for those listeners [from any generation] who are willing to open their ears and give youth its due - solely on the basis of creative merit - their patience and generosity will be amply rewarded with some great Jazz as played by some terrific young Jazz musicians who are every bit the equal of their idols and then some. To his credit, Ray Brown instinctively understood that if he wanted to continue to play with musicians of the highest ability, he had to do his part in cultivating their growth and development from among a younger crop of players. Whatever his motivation, for we Jazz fans, there is the legacy of all the great trio Jazz music Ray left us through his loving devotion to Phineas Newborn, his urging and ultimately bringing Gene Harris out of retirement and his helping to further develop Benny Green’s career so he could carry the torch of Jazz in the current generation.